American health care is caught in a vise, which has created a dire situation. The squeeze comes from the positive gains in life expectancy on one side and unsustainable medical costs on the other. Meanwhile, headlines are being grabbed by crises as serious as the outbreak of Ebola, vaccine-preventable diseases such as measles, and an obesity epidemic. Hence, our call for a dose of preventive medicine. Our health care costs are almost 150% as much per capita as the next most expensive health care system, Norway. And what do we get for this lavish outpouring of an estimated three trillion dollars a year? In rankings by the Commonwealth Fund of 11 western countries, the US ranked last in quality and health outcomes. And over the past fifteen years, preventable hospital deaths in the US due to medical errors in treatment quadrupled from an estimated 110,000 to 440,000 (3). At present, the most effective way to reduce health care costs is by reducing the rate of illness. We have a mechanism in place to do this -- preventive medicine. Prevention and health education don't drain the national treasury but provide a strong return on the dollar. For every person who understands how to avoid heart disease, hypertension, and obesity, learns about effective contraception, or who gets health education on the dangers of tobacco and alcohol, the medical system benefits economically, not to mention the gains by humanity. In 1900, the top three leading causes of death were influenza, tuberculosis and gastrointestinal infections. Thanks to preventive medicine and public health programs, including sanitation and vaccines, the rates of these diseases have plummeted over the last 100 years. Now, however, chronic diseases such as heart disease, cancer and non-infectious lung disease are the leading causes of death in the United States. One-half of adult Americans have at least one chronic disease, and the majority of these are preventable or lessened by the adoption of healthy lifestyles: physical activity, good nutrition and healthy weight, and the avoidance of tobacco. The adoption of these lifestyle factors alone is associated with a 93 percent reduced risk of diabetes, 81 percent reduced risk of heart attack, 50 percent reduced risk of stroke and 36 percent reduced risk of cancer. The acquisition of a positive lifestyle isn't as simple as 'Just Say No', as we have learned the hard way, but requires a concerted prevention and public health approach, incorporated into individual health care, community interventions, and the built environment. Yet the funding for preventive medicine and public health is minuscule compared to the overall health care budget. Preventive Medicine has been a specialty for over 60 years (American Board of Preventive Medicine), but comprises only 0.8% of the physician workforce. There is an inadequate focus on prevention in medical school curriculum. Physician training in preventive medicine as a specialty is currently in a fiscal crisis due to the lack of training dollars. Medical Centers are reluctant to divert their graduate medical education Medicare training dollars from acute care to prevention, and the federal government's Health Resources Service Administration funds only a fraction of preventive medicine training programs. Despite the gains in access to health care achieved with the Affordable Care Act, including an emphasis on quality of care and improved outcomes, prevention training funds have not followed. We all need to accept and build a future where prevention becomes a dominant force. Waiting to get sick before going to the doctor makes no economic sense. We need a proactive and prepared health care system to work with health-literate, motivated individuals to attain the widespread adoption of evidence-based preventive measures. Nutrition, physical activity and stress reduction should be the backbone of a truly integrative, prevention-focused health care system. Without it, health care costs will continue to climb, while, paradoxically, the health of the nation suffers. We need to focus our efforts on the implementation of the vast amount of prevention science already well described. To do this, health care dollars will need to be directed to prevention and public health training programs. Senator Tom Udall and Representative Gene Green are leading this effort in the U.S. Congress. The rewards are potentially enormous. 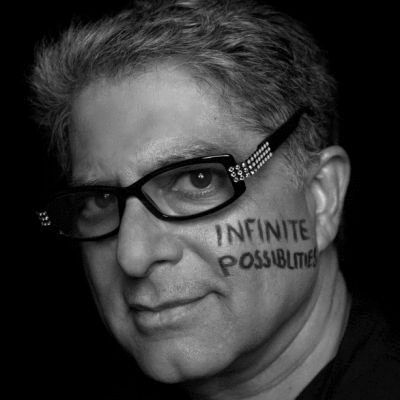 Deepak Chopra MD, FACP, is the Chairman and Founder of The Chopra Foundation, Co Founder of The Chopra Center for Wellbeing, and School of Medicine, University of California San Diego. Dan Blumenthal, MD, MPH, FACP, is the President, American College of Preventive Medicine, and a Professor at Morehouse School of Medicine. David Brenner, MD, FACP, is the Vice Chancellor for Health Sciences and Dean of the School of Medicine, University of California San Diego. Nancy S. Cetel, MD, is the President and Founder of Speaking of Health and specialist in women's health and reproductive endocrinology. Linda L. Hill, MD, MPH, FACP, is the Professor and Program Director of the Preventive Medicine Residency at the School of Medicine, University of California San Diego. Bess Marcus, PhD, is the Senior Associate Dean for Public Health, and Chair of the Department of Family Medicine and Public Health in the School of Medicine, University of California San Diego. Paul J Mills, PhD, is the Professor in the Department Family Medicine and Public Health, School of Medicine, University of California San Diego. Sheila Patel, MD, is the Medical Director at the Chopra Center for Wellbeing and Clinical Faculty, School of Medicine, University of California San Diego. Larry Smarr, PhD, is the Director of the California Institute for Telecommunications and Information Technology (University of California San Diego/University of California Irvine). Joseph B. Weiss, MD, FACP is the Clinical Professor of Medicine, School of Medicine, University of California San Diego.